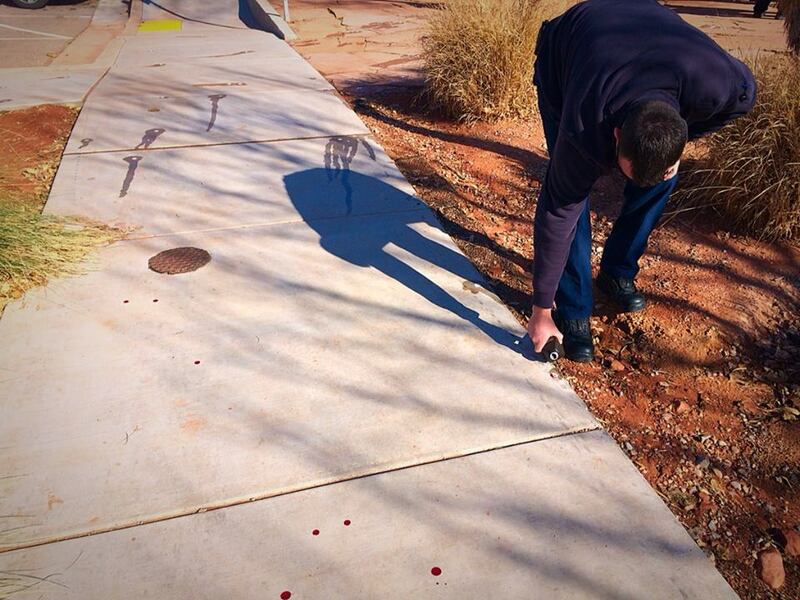 ST. GEORGE – Officers responded to a psychiatric call Thursday morning after a large amount of blood was discovered throughout and around the Brooks Nature Park at 452 N. Main Street in St. George. 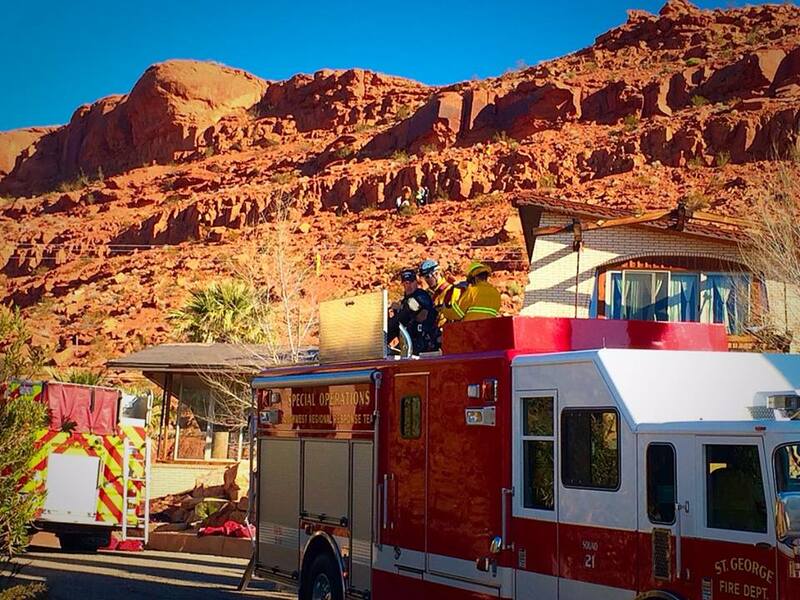 At approximately 9:45 a.m., a resident in the area observed a man bleeding from his arm and allowed the man to use his phone to call a family member, St. George Police Officer Derek Lewis said. After the phone call, the injured man walked off at which point the resident notified authorities, advising them of the situation. 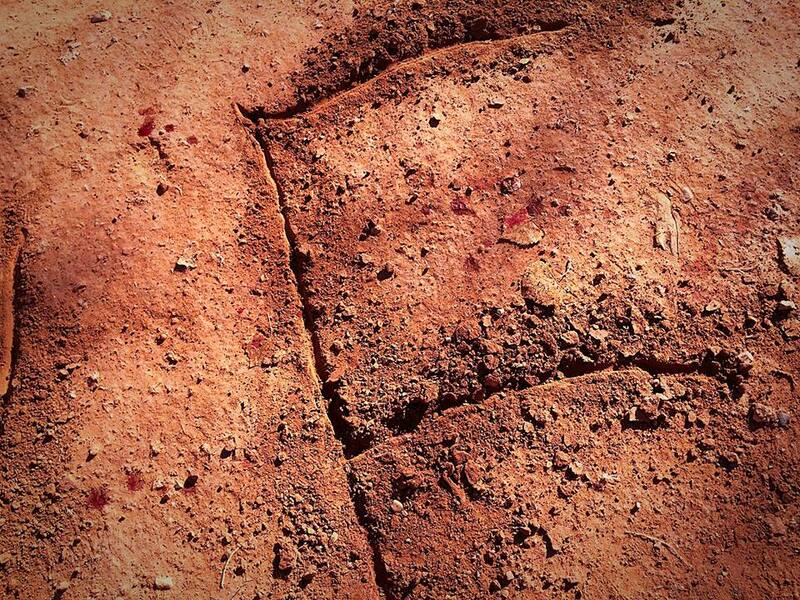 Officers arrived on scene and observed a number of pools of blood throughout the park, along with a message carved in the ground west of Brook’s pond which was covered in drops of blood and read: “I LOVE U … “ with a woman’s name written below it. 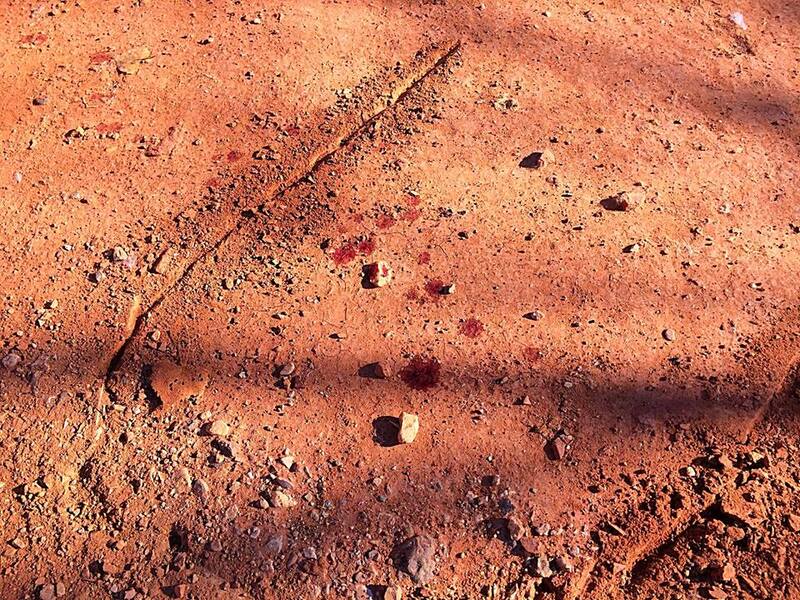 Police began following the blood trails and combing the area searching for the reportedly suicidal man. 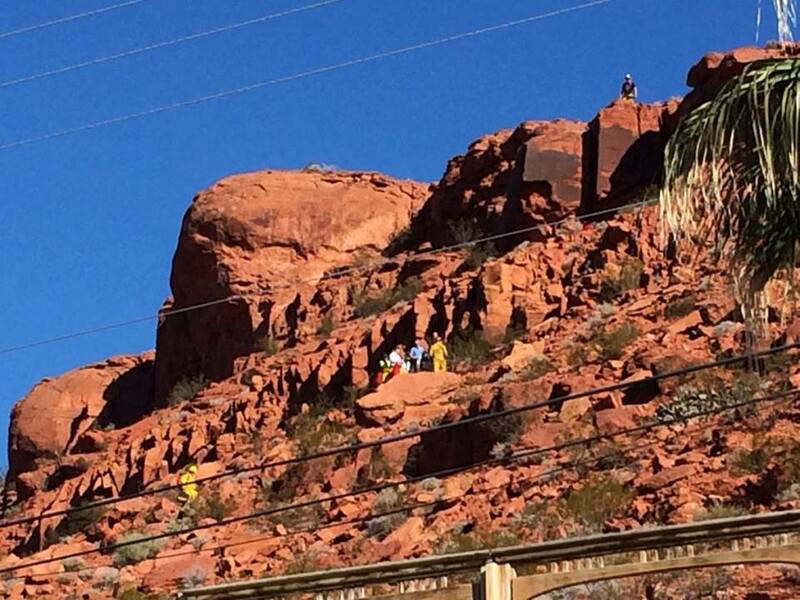 Just after 10:05 a.m., the man was spotted by area residents on a steep mountainside several blocks away from the park, St. George Police Sgt. Sam Despain said. Officers and medical crews were able to get to the man shortly after receiving the tips on his location. By the time they reached him, the man was unresponsive and had a faint pulse. 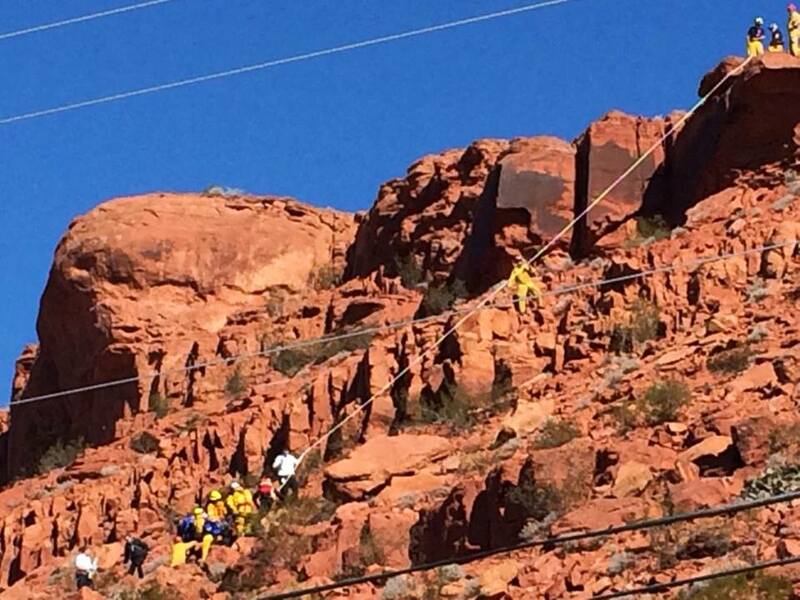 Because of the steep terrain, the St. George Fire Department was called in to perform a high angle ropes rescue. 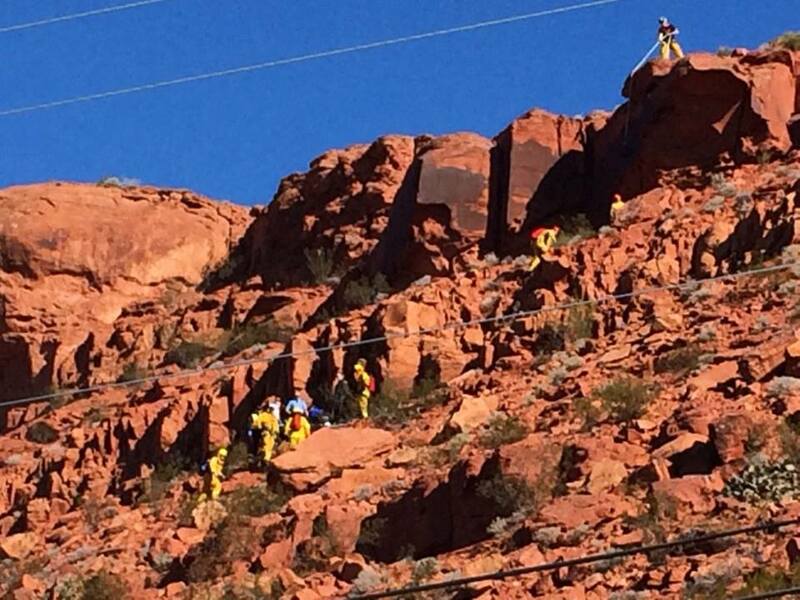 By 11:45 a.m., rescue crews had the man safely down the mountain and transported him to Dixie Regional Medical Center in St. George to be treated and evaluated. Ed. 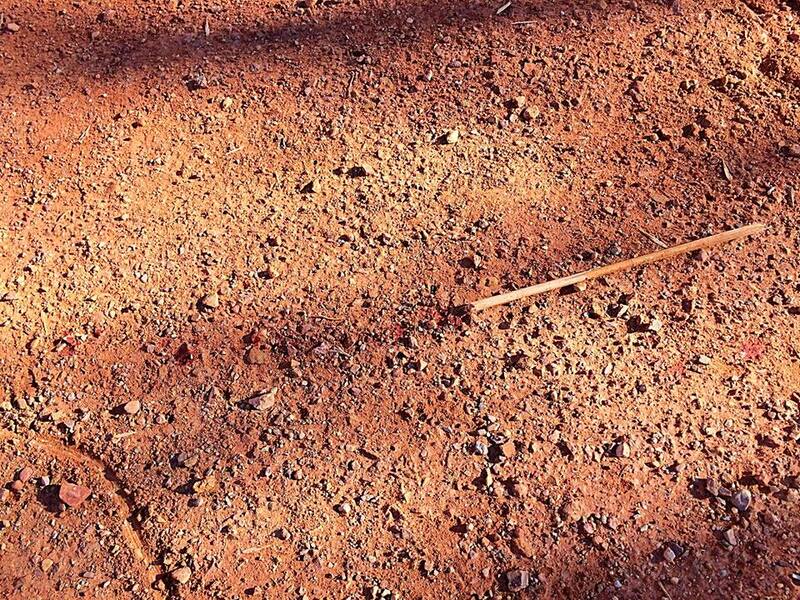 note: The name included in the love note etched in the ground has been omitted, and obscured or cropped from photos, to protect the woman’s privacy. This isn’t good some serious issues going on here. I sure hope he gets the help he needs. good job SGPD. 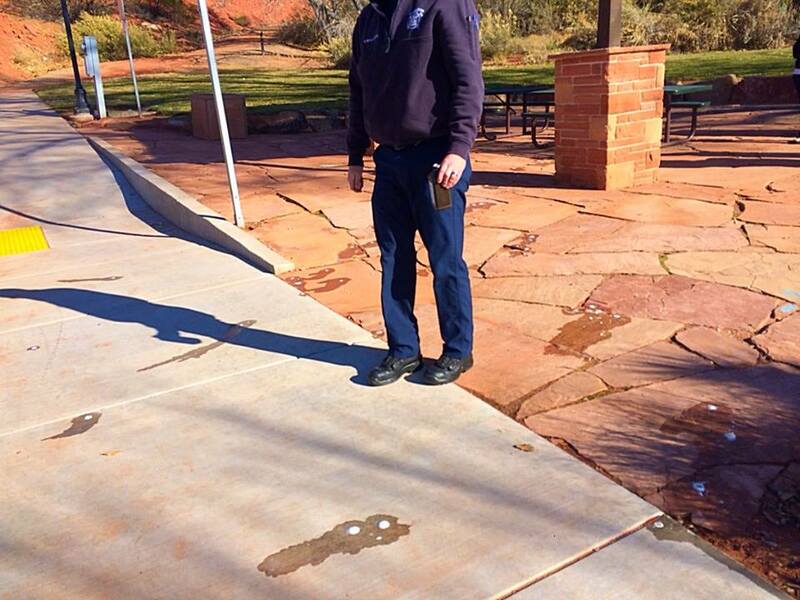 and kudos to the fire department. Huh…. 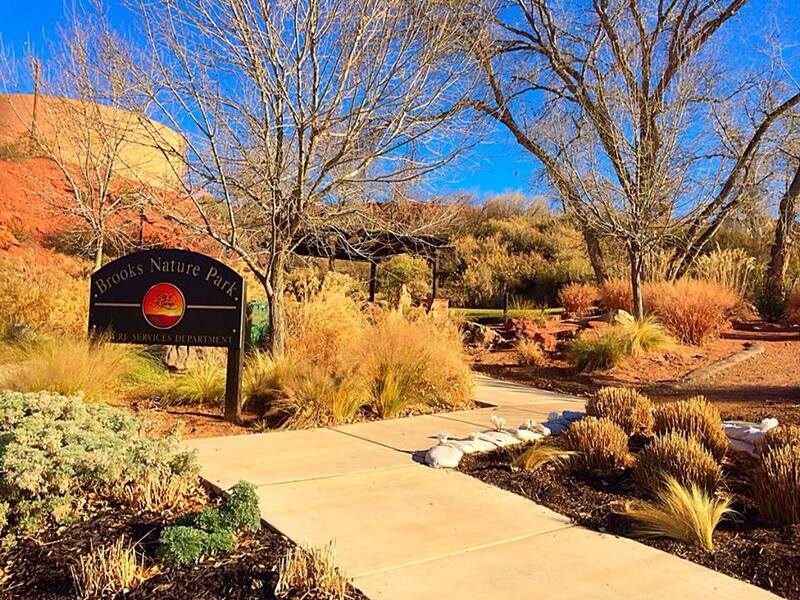 I didn’t even know there was a nature park on Main Street. How’s my pathetic lunatic doing. Oops.! I bet you’ve heard that before. Sad. I hope the guy has some good support waiting for him. Nothing says I love you more than slicing up yourself and threatening suicide. Not only should the unnamed woman be concerned about his well being, but her own safety and well being as well. IRemember that ex – marine from St George who was living with his girlfriend in Central? No such thing as an ex-marine.. Once a Marine, Always a Marine.. Semper Fi! Even one that shoots his girlfriend, her daughter and then himself? Semper Fi! No, there are ex-marines too. If one of your Marine brothers goes so far out there to be dishonorably discharged, and then continues making bad choices even when given all the help in the world from his marine brothers, then they are an ex-marine. That was a horrible situation. I hope everyone receives help. Agreed. I just really hope it wasn’t anyone I knew. Is it just me or is this happening more and more sense Obama has become president? It has nothing to do with Obama so it must be you. I hope this man or kid Gets the help they need everyone in this world needs it from time to time. People can easily get in that place when they don’t have a support team in they’re family!!! Not blaming anyone just hope he gets some help! !